There is much hustle and bustle taking place here in Northern Virginia to prepare for Christmas which is a little over two weeks away. Let’s consider a few thoughts together to place our preparation in context. A teenage girl rides into Bethlehem pregnant with a baby that does not even belong to her husband. And, he is so poor, that the best shelter he can muster for them in a “back-woods” poverty-stricken, no-name town is a stable that they will share with the local livestock. This stable is probably a rocky-hewn cave that is filthy, damp, cold, and smells like dung. Not to mention the only crib which the mother has to use is likely a disease-laden food trough lined with animal slobber to lay her first-born son in who also happens to be the Son of God. That’s not the bad part yet. Everyone in town does not fail to notice that the first individuals to come and congratulate this holy family, and I should mention that it is under the cover of darkness – are shepherds. Not the cute kids with fluffy cotton ball sheep from our pagents or Linus in the Peanuts version but those notorious lying thieves whose testimony was not even allowed in court. How bad were they? If these societal riff-raff were accused of a crime, they wouldn’t get a trial because they are the lowest of Jewish society and presumed guilty. Still not the bad part. After the shepherds stop by, we are told this poverty-stricken family is visited not by three Kings or Wise men but Magi. Oh, the magi… To the Jew of the time, if shepherds were the lowest in society, magi were the worst of the human race. We need to understand that they were necromancers or sorceress and practitioners of the occult and dark arts. Those gifts of gold, frankincense and myrrh, that, in our naiveté many of us thought could be sold to help this wretchedly poor family out, could not even be sold to help them. Why you ask? Because of a short but pithy Jewish saying that goes like this, “If you learned or received anything from a magus or magi may you be accursed of God.” Yep, those were the visitors. The upstanding honorable you want yours kids to associate with. And now to the bad part. This child, St. Luke tells us was born under King Herod I of Judea who we know plenty about. We know that he wasn’t even a Jew and that he was so paranoid about his rule that he murdered three of his sons, one of his wives and his mother-in-law. He was so worried about his reputation that he ordered a town to be slaughtered in order that someone would be weeping for him on the day of his own death. Even the Roman Emperor knew of Herod. In fact, Caesar Augustus was quoted as saying that, “He would rather be Herod’s dog that his son.” Why is this bad? Because as soon as Herod found out that this little, defenseless, unassuming poor Jewish boy named Jesus was born, he ordered the slaughter of ever male child up to two-years of age in the region. I am quite sure that Jesus remembered that growing up. It is under these circumstances that we are celebrating the birth of the Son of God. Where does this leave us? 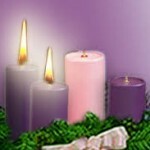 I think that the season of Advent is the most dangerous liturgical season of the year. I would even suggest that we have been seduced by the enemy into singing, shopping and celebrating during Advent to avoid the truth of Christmas. Like Herod, the devil knows how dangerous this child is. Consider the magi again and that no one presents a gift to their King. It’s insulting – he already owns it. We give tribute – that which we produce from all that belongs to him. 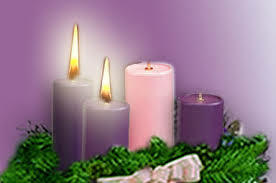 I believe that there are two tributes that Christ desires from us during the season of Advent. The first is our weakness, failures, and sin. He didn’t give that to us, we developed it. The second is our time – something more than the hat tip of coming to Mass on Christmas and grace before we only think about the gifts and the day we spend with our families. I believe that Advent is far more dangerous than Lent and Easter because we instinctively know that during Lent we need to be forgiven and forgiveness may be given and received from a distance. Advent though, is an invitation into a relationship that we requires us to set aside all the previously mentioned tribute that we love to keep. Why do we love our sin so much? Are we really that clever that we think we can hide our weaknesses from the Lord of the Universe? This is what John the Baptist was getting at with the the Pharisees and Saduccees today in the Gospel. Coming to John for the baptism of repentence was their Plan B – just in case the whole Mosaic law thing didn’t work out. John could be right so how could it hurt to have an extra salvation card in their back pocket. Many of us are in the same boat. Brothers and Sisters, being baptized, coming to mass weekly and hitting the box once a year is not sufficient for salvation. They are the privleged encounters that provide the opportunity for the minimum which is to be in a deliberate and intimate relationship with Jesus the Christ. To complete our meditation, consider how tricky the Lord is. To celebrate Advent is remove the obstacles and draw near to the manager. But don’t stop there. The invitation is to pick the child Jesus up. Why be afraid to pick him up? Are you so afraid of him like Herod? Do you think you not good enough? Let’s be honest. He was laid in a feed trough surrounded by animals and dung. He is used to the stink of our sin. But you are right. It is dangerous. The child you are picking up, even as an infant, knows everything about you and even knows exactly who He is. He is dangerous because if you pick him up and gaze into His eyes and listen to the beating of his heart, you’ll never want to put Him down. He’s got you. This Advent, don’t miss out on the day of your salvation. If you wait in quiet anticipation, he will not disappoint. Decorate and enjoy yourself while spreading the good news of this little child you have encountered who has changed your life. Live dangerously this year, celebrate Advent.